What’s the name of this statue? Do you love Walt Disney World Trivia? Do you love odd Walt Disney World Facts? Are you the Walt Disney World Expert in your circle of friends? If you answered YES to all three of those questions, then you are going to ace this week’s quiz! Take this fun quiz and test your knowledge of Walt Disney World Facts! 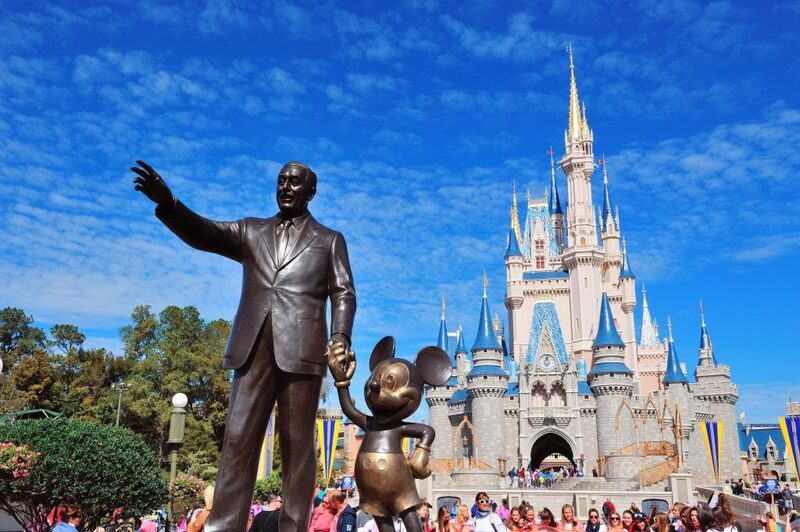 Test Your Knowledge of Walt Disney World Facts! What was Walt Disney World called in the days of early development? What did EPCOT originally stand for? Which is the newest park to open up at Walt Disney World? Which was one of the original hotels that was open on Walt Disney World’s opening day? Which of these countries is not represented in Epcot’s World Showcase? Which is the smallest park in Walt Disney World? What is the tallest ride at Walt Disney World? Which was the first mountain to be built at Magic Kingdom? What frozen treat is served at Aloha Isle in Magic Kingdom? On what Magic Kingdom attraction will you hear an announcement for Mr. Tom Morrow? Leaderboard: Test Your Knowledge of Walt Disney World Facts! Quiz: How Much Do You Know About The Classic Attraction: It’s A Small World? Same!! That one got me too! Me too! I can’t believe it! It certainly doesn’t feel like it. Me Too!! Other than that I was perfect! Fun Quiz! Me too! That’s the one I missed as well. I said studios and I’m standing by it lol! I mean….HOW? Having never been there, I think I did ok! ugh i knew smallest park wasn’t AK or EP but i took a guess and got it wrong! Dang. I thought Hollywood Studios was the smallest park. At least I got 8 out of 10.